Schmetterling Aviation: So..... I'm back! I was going to say "Back by popular demand," but.... that would be something of an exaggeration. Well, not really an exaggeration, more like a bald-faced lie. Q From Michael Benson: A friend of mine recently posed the question as to whether the proper form was bald-faced lie or boldfaced lie. Naturally, I thought of looking to your site for the answer, but having found none, I figure it’s the perfect opportunity to ask. Which is the proper phrase? "How dare you try to falsify my person? You are discovered in a barefaced lie, and now want to bully it out." -- The adventures of William Ramble Esq., by John Trusler, 1793. "No one of ordinary intelligence is, of course, expected to believe the statement, and every one who is capable of putting it into readable English knows it to be a bald-faced lie." -- The Newark Daily Advocate (Ohio), 12 Jul. 1883. Both forms are based on colloquial uses from the seventeenth century. Someone bare-faced originally had the face uncovered, and hence was figuratively acting in an unconcealed or open way (Shakespeare is the first known user of both literal and figurative senses). From the latter part of the seventeenth century onwards, it took on a sense of something or someone who was audacious, shameless or impudent, so that a barefaced lie was one in which the speaker made no attempt to disguise it as truth. So, there ya go. It was a boldfaced lie. A Spur of the moment is in the OED (Oxford English Dictionary) along with other definitions of the word "spur". The first recorded usage was in 1801. Spur also means at haste so perhaps spur of the moment - something done impromptu or without deliberation grew out of spur in that sense, as in a quick decision. Something in the moment (the brief period of time when a decision is made or an action is begun) acts as a spur-an incentive, an impetus-much as the literal spurs impel a horse to go. What motivates a "spur of the moment" decision arises quickly, as opposed to long forethought. Well, if you were willing to sit through that, you might have the patience for a bit of an explanation as to what's going on with yours truly with regards to this blog which, by extension, is also going to be an update on my absolute favorite subject: me. Or did you think I was going to say "flying?" For most of my life those two have been so tightly integrated as to offer nothing but a thread-thin gap between the two. Such may or may not still be the case. The jury is still out on that decision. Good question. And the unsatisfying answer is "a whole hella lot of things have changed. Most for the positive; some not so much." Fundamentally, this blog started out as a way to document and share the experiences and lessons learned through the building of a Van's RV-12, but for better or worse it has always been something of a personal diary as well. Once the plane was flying, it obviously became far more of the latter than the former. At that point I found it easier just to record flights and post them on YouTube. You might want to skip this next bit, but I think moving forward the content is going to get far more eclectic, and a relatively short autobiography might help to explain why the subjects are bound to be so far ranging. I once came across a little book my mother used to keep for each of her children, of which I was the middle of three. An older brother and a younger sister. Making me the middle child. With a bullying and dominating older brother. When I was five or six years old, my career goals were recorded as "Astronaut" or "Gas station attendant." Honest truth! Ha, kidding. The thing about the gas station attendant was that even at that age I was smitten with operating equipment. I just wanted to run the gas pump! That career path was, as we all know, rendered moot soon thereafter. Ironically, I hate pumping gas. Astronaut was the same, albeit with a bit more ego gratification for all involved. It was the technology, not the idea of being in Space, that grabbed my interest. I am endowed with a quirky sense of humor. I consider myself to be above average on the 'funny' scale, but I am a little too self-myopic to spend much time pondering where I fall on the 'laugh with' vs. 'laugh at' continuum. I do now and then dwell on the subject. I have a theory. I am, and always have been, what people have referred to as "scrawny." Being small has rarely served me well. When I was pulled out of three years of parochial school and dumped into the Cincinnati public school system to fend for myself, it proved to be a far more hostile environment. Luckily, I was already pretty used to being bullied, although the cast on my right arm and a couple of weeks on crutches after being pounced on in the school hallways was a new experience. This is probably just self-serving psycho-babble, but I believe that my caustic/sarcastic/scalpel-sharp sense of humor was developed, at least partially, as not so much a defense mechanism (because it often acted in exactly the opposite way) but as a way of punching back. My dad nicknamed me "flip lip" for a reason! Far from being the last chosen for any sporting event (the 'last' actually gets chosen; I was simply excluded), I naturally turned to books. I was a voracious reader. By the time 'Treasure Island' was assigned as a term project in the 7th grade, I had already read it three times. You would think that would garner an easy A, but that would be to ignore my inherent tendency towards procrastination. I finally outgrew that, but it certainly caused me a lot of grief before I did. Much of that reading was non-fiction. I was fascinated with books about WWI aviation, WWII U-boats, and just about anything in between. POW escape stories were popular with me as well - there's a reason that I thing Stalag 17 is one of the best movies ever made. The Blue Max, The Great Waldo Pepper - those were my faves. Fast forward to more than a quarter century ago when I was first introduced to my girlfriend's uncle, a former WWII naval aviator, when I asked him what he flew in the war. "Hmmph. Kid like you wouldn't know what they were anyway." Which he did, somewhat to his embarrassment. Of course I knew them all! I had since I was six years old! Middle child side note: my older brother, who didn't know the difference between a P-51 and an F-4, got to go to the USAF museum in Dayton. I did not. It's odd, the tidbits you remember. Ah well, it all works out. I go as often as I want to now, and that's fairly often. There is an airplane that I worked on housed in that museum - it's nice to be able to visit. When I was 14, I was introduced to another deep and abiding interest. 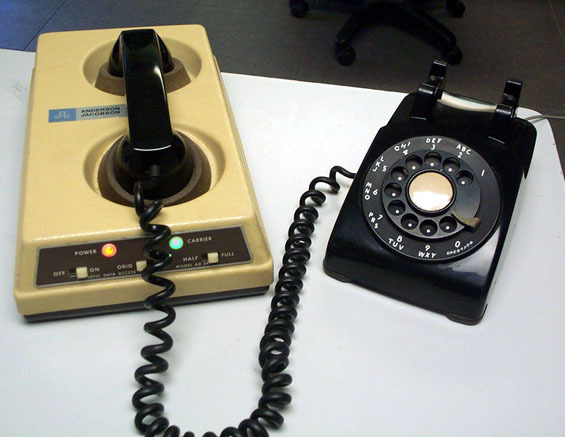 At the time, if you could get permission from the principal, you could spend your lunch hour dialed in (via acoustic modem) to the mainframe downtown. It didn't matter that the modem was slow; the teletype was even slower! Using that, I was able to teach myself to do simple programming in BASIC. Trust me, this is all leading somewhere. In parallel with all of this, I pretty much always had a paying job, starting in the 5th grade when I volunteered to work in the kitchen prepping dirty dishes for the dishwasher. In return, they gave me a free lunch, a 35¢ value. My mother started a little 'bank book' for me since she figured I deserved to keep the money. You'd be surprised at how $1.75 a week adds up when you have no living expenses. And keep in mind, that would be $10 a week today. That's probably nothing to today's 11 year olds, but back then, at least in our house, there were no allowances. That was followed by a $1.55 an hour job delivering drugs (the legal kind) and running the cash register for a local pharmacy while I was in Jr. High. I did that until I was old enough for a minimum wage job. I spent every one of my high school years cooking pizza for 25-30 hours a week. Why??? Well, it's not like I was turning down a lot of dates. But I had hobbies. Adult hobbies, and thus expensive hobbies, by 1970's standards. 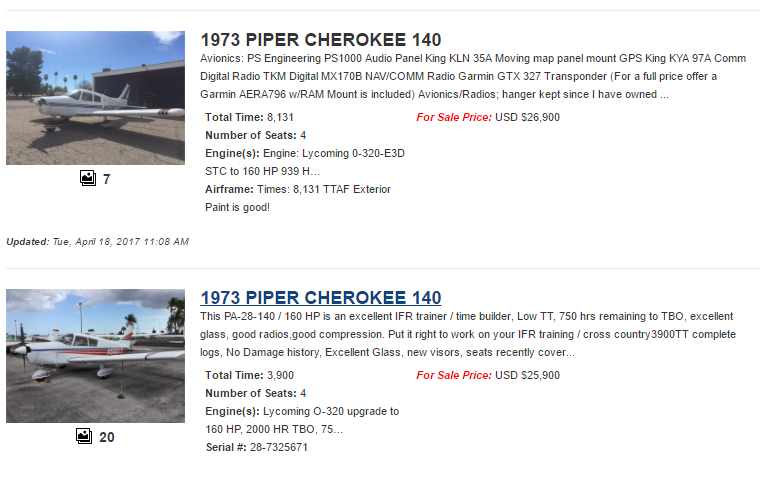 A lot of that money went towards R/C airplanes, but I saved quite a bit as well, which is how I was able to buy a Tandy/Radio Shack TRS-80 Model I the year they came out. By my math, that makes me one of the first 1,000 people on this planet to have had a store bought home computer. 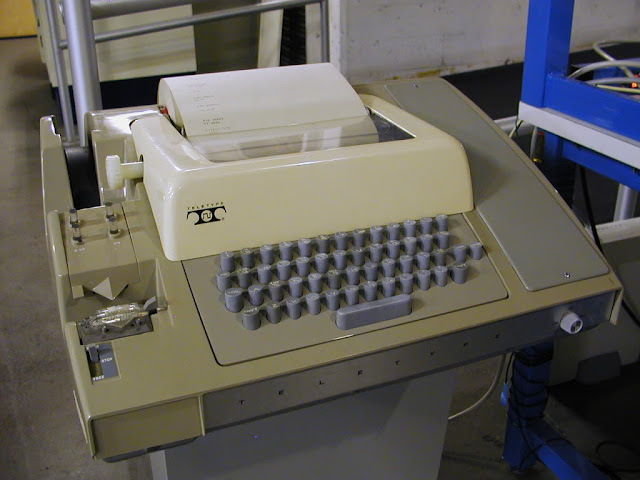 Naturally I used it to program simple games, and to fly the earliest precursor to what eventually became the Microsoft Flight Simulator. So, we have a deep interest in aviation, a deep interest in building flying models, and a deep interest in computer programming. Do you see where I'm headed with this? After very disastrously unsuccessful attempt at college, I had a very successful 5-year stint in the USAF, where I was privileged to work on the CAPRE system on the venerable SR-71, and as a side job I also loaded the map projectors. The upshot of the latter is that I knew where they were going, and how high/fast they would be flying. There weren't many people that knew that, at the time. Heady stuff for a 19 year old. Being SAC, though, the shop was way overstaffed for the amount of work there was to do. I didn't join because I was looking for long hours and low pay, I joined because I wanted to work on airplanes! I got bored, so after a little more than a year I volunteered to be sent anywhere, worldwide. In the recon world, that meant TAC, and that meant Korea. The only other suitable bases were in West Germany and Texas, but Korea was automatic for a single, enlisted guy. It was a remote assignment, which meant married guys had to go alone. It was a year long assignment, but that's a pretty long haul for a guy with a family, so they were always on the lookout for unmarried volunteers. Of which there were many, because the availability of cheap booze and a roaring economy in other areas made it all a great nighttime playground. I worked the night shift. I got more time on the flightline that way. One of the bennies of getting an assignment to Osan AB was that you got to pick your follow-on assignment. I requested Germany, but with only a year left in my four-year term, they didn't want to foot the bill. Fortunately, all I needed to do was extend my enlistment by one year, not another four. I lived off base in Germany for a couple of years. I had car, so I got to see quite a bit of Europe. I even got to cross the channel on a hovercraft. In both Korea and Germany, I worked on the RF-4C Tactical Recon jet. The tactical recon of the RF-4 was very different from the strategic recon of the SR-71. The strategic recon needed to be wide ranging - it was what the generals used to decide what to target. The tactical recon was far more tightly focused - it was what the generals used to see if the target could be approached, how it should be attacked, and what was left of it after the attack. In other words, SAC flew two flights a day. On weekdays. TAC flew all day, every day. Being TAC, there was plenty of work to keep me busy. My primary function was to perform both the flightline and the shop work maintaining the AN/AAD-5D infrared recon system, although I voluntarily cross-trained into the optical cameras too. The IR system was used for night recon and scanned horizon-to-horizon. They were pretty reliable, for the most part. I did once track down a problem that had plagued a certain jet since the day I had arrived. I had the weekend standby, and rather than just sit around killing time in the shop, I decided to have another look at it. Long story short (HA! We crossed that line five minutes ago), there had been a wiring error made at the factory. I fixed it. I got a 3-day pass for that. I didn't even know they still did that. 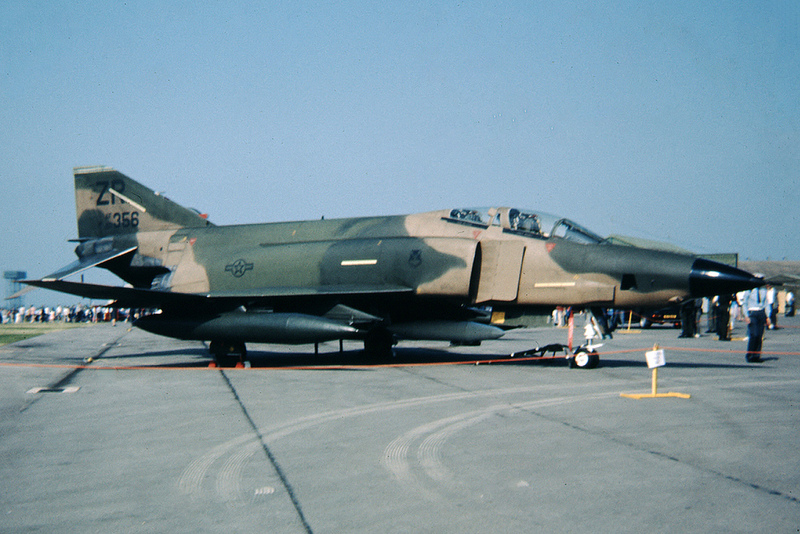 That also led to me being selected as an alternate team member for the summer of '86 Red Flag exercise at Nellis AFB. I desperately wanted to go to Red Flag... but only an alternate. So close!! I guess being selected as an alternate was better than the choosing of players for team sports had ever been, but still. One of the primaries took leave and went to Denmark. He apparently never got the memo that going to Denmark (or Amsterdam) was the same as pounding on the door of the med center insisting to be drug tested. He was. He had. I went. He didn't. Because we were going to be shipped over from Germany, it was for more than just the normal two-week gig at Nellis. We first did a two-week competition at Hurlburt Field, then did three back-to-back-to-back Red Flag exercises. Red Flag was the experience of a lifetime. It was six weeks of twelve hour shifts. My part was initially limited to the operations and maintenance of the cameras (the IR systems all broke during the first couple of weeks), but I also spent a lot of time hanging around with the crew chiefs. It should come as no surprise that I wanted to know how everything worked and asked a lot of questions. They had never seen a 'specialist' that was in any way interested in their line of work, and they adopted me into their fold. By the end of the sixth week, I was out on the flightline launching jets! It's not as dramatic as that guy that signals the catapult operator on aircraft carriers, but the starting on an F-4 is still a fluid and highly-choreographed process. I got a medal out of that. A good one. Just for doing something I wanted to do. Life can be like that. After the military, I returned to Ohio and used my veterans benefits, tuition assistance from the Ohio Air National Guard (another six years of military! ), and money earned from menial part-time jobs to get as far as my senior year at THE Ohio $tate University, where I was working on an engineering degree in (not what you would guess, although I actually DID start as an aeronautical engineer) Information Technology. That led to a series of two-year IT jobs as a I sought a place where I thought I could have a career. Through happenstance, I landed at a small outfit with looming IT needs - it was very much like getting in with a dot-com startup. I spent more than sixteen years there. Fairly early on, we were acquired by what was last year a Fortune Five corporation. I don't really know or care where they are this year. As the sole IT guy, and with only a background in software development, I pretty much built the place as far as the systems go. And there were a lot of them! It ended up being a much broader business than we had expected. There were 17 of us in the company after the acquisition - today there are 70+. It was a high satisfaction and very high stress job, and it paid well. I married just as well - she kept us well within our income to the degree that at age 55 we have the house, cars, and airplane all paid off. And.... notable savings. Years of paying double mortgage on the house and maxing out my 401k contributions, and banking any annual windfalls in the form of bonuses, inheritance, or the like, built up a nice nest egg. Diverting so much into savings kept our standard-of-living comfortable but not ostentatious. Well, other than owning my own airplane. That's kinda showy. But if I was really rich, I wouldn't have had to build it myself. So there is that. Anyway, I figure I need just enough to get me to the age where all I'm going to need is a big TV, a comfy chair, and good speakers. I look at it as buying the most expensive of all commodities: time. It's expensive, and often can't be purchased for any price. When a chance comes up to buy some, you really ought to do it. And you should get good value. I think I'll get more bang for the buck from ages 55 to 65 than I will from ages 75 to 85. If I even get that far. Believe it or not, I have always valued time over money, although my time usually needed to be filled with relatively expensive toys, so I tended to be on the position of having to trade more time for money than I would really want. But I never went in for 60 - 70 hour work weeks, and I avoided travel for work. 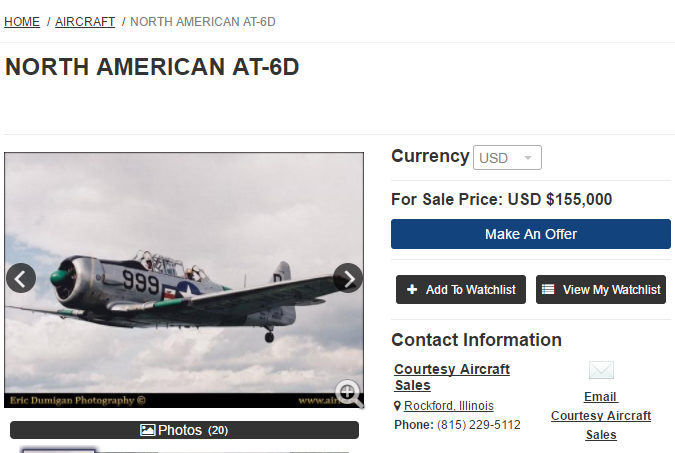 Not surprisingly, my lifelong goal was to someday have enough money to support the owning and operating of an airplane. Not a low bar, that. And you need to definitely consider both costs: owning and operating. I could probably afford to buy a T-6, but I couldn't afford the fuel, oil, maintenance, and insurance costs. It would eat me out of house and home. Flying can and does require a financial commitment, and there are significant barriers to entry in training costs, etc., but it is more attainable than people imagine. I can walk around my block and find a dozen cars that cost more than a Cherokee 140. Or boats. It's all about choices. Some, while momentous, are very easy. I chose to retire from a lucrative career. At age 55. It was an easy decision. The funny thing is, there are those that say that I retired too young and that I will ultimately find myself bored. I refer to those people as "strangers," because they clearly know nothing about me. They plaintively and, I suppose, hypothetically, ask "What will you do??" The correct question is "What will you do first?" I have no shortage of options. One of them, and the most topical at this very instant in time, is to bring back this blog, albeit with a far broader focus. So, I'm back. For better or worse. PS - There is one thing I would like to see happen with this blog: please comment! Congratulations on retirement and welcome back to the Blog-O-Verse, Dave! I always enjoy your writing. Thanks, Chris. I missed the writing a lot more than I thought I would, and I don't think the videos convey the same level of detail as still photos. There's room for both, of course, but I think I'll mostly limit the videos to flights with pax. The conversation is most of the fun anyway. I'm happy to see that you're back to blogging Dave. I like the videos however I really enjoy your particular writing style,whit and all. I appreciate your synopsis on your current situation and how you arrived there. I often wonder how someone arrives at their situation,but one doesn't want to pry,too much I suppose . What's next? I suggest you start the newer rv 12 is that I just read about. I think that one will make a Florida trip much easier,besides,you'll need something to do this winter! Reading this pretty much activated my "if I had it to do all over again" protocol. Smart move Dave. I retired at 56 and you hit it right on the head. Having those retired years from 56 to 66 was invaluable. I'm 72 now and what a difference from 62! I'm still active, but certainly don't have the desire or capability to do the things I was able to do in that 56 to 66 period.